A burglar and thief who raided a shed and stole sweets from a Co-op store has been jailed for two-and-half months. Chesterfield magistrates’ court heard on November 27 how Ian Gilding Thomas, 31, of Patchwork Row, Shirebrook, stole a Makita impact drive, charger and battery pack from a shed and went on to steal Haribo sweet tubs from a Co-op in the town. Pictured is Ian Gilding Thomas, 31, of Patchwork Row, Shirebrook, who has been jailed for ten weeks after he admitted committing a shed burglary, a shop theft and failing to surrender to custody. Prosecuting solicitor Becky Allsop told a previous hearing that the complainant returned home from work on October 9 and discovered his shed door open and that his Makita impact drive, charger and battery pack were missing. The complainant examined CCTV footage, according to Mrs Allsop, and he saw a male wandering around a field at the back of his garden before coming to his shed at Shirebrook. Thomas told police he had come from a friend’s house on the same street and went over a field and went into the shed after he claimed it was open. He added that he had sold the stolen items for £20 to an unknown person because he has a £40 a week drug habit. 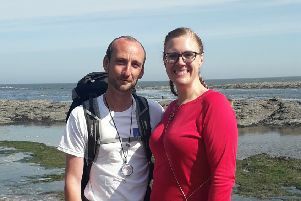 Defence solicitor Julie Page told a previous hearing Thomas has been living as a homeless person but he has recently been allowed to stay with his sister. She added that he became homeless after a relationship collapsed and he was subject to benefit sanctions and was drug dependent and relying on alcohol. Thomas’s original case had been adjourned to consider a probation report but he failed to return to court for sentencing on November 13 and a warrant had to be issued for his arrest. He subsequently admitted failing to surrender to custody and also pleaded guilty to the theft of sweets valued at £40 from a Co-op, on Victoria Street, Shirebrook, on November 5. The defendant was sentenced to ten weeks of custody and was ordered to pay £170 in compensation.